Bengaluru (previously Bangalore) is the capital city of the Indian state of Karnataka and one of the largest cities in India. Bengaluru is also home to the nation's leading Information Technology exporters as well as many Japanese and foreign companies dealing in automobile and precision instruments manufacturing. 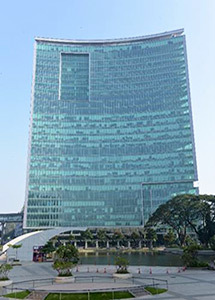 MUFG opened its fifth Indian branch in Bengaluru in 2014 offering a full suite of banking solutions for Japanese and global corporate clients as they expand their businesses in the country and across the region.